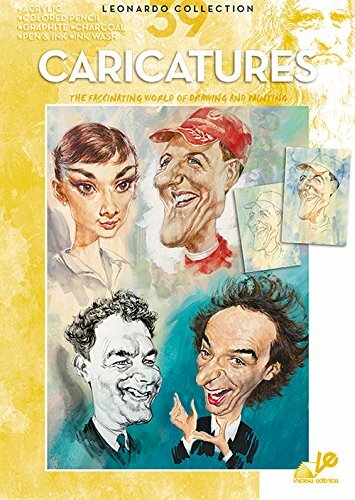 Caricatures No.39 provides a how to produce caricatures guide, with studies in colour and black and white. A series of famous faces are presented by different artists using different techniques, but always exaggerating and amplifying the facial features of the personalities. Designed and created as both a valuable tool for beginners and a strong support for professional artists, the Leonardo Collection stands out for its clear explanations, plain language, and especially for its intelligent, well-directed choice of illustrations. The Collection offers exhaustive information on methods and strategies in both drawing and painting, starting from the basics of drawing and gradually presenting various media and techniques in a vast range of subjects.